David Moyes has suggested that it will be a busy transfer window for Manchester United next month and insists that the club is willing to spend big. United were roundly criticized for their transfer dealings during the summer when failed approaches were made for Thiago Alcantara, Cesc Fabregas and Ander Herrera, while it is also rumored that Gareth Bale was pursued, before Marouane Fellaini eventually arrived. Having subsequently endured a terrible start to the season, in which they recently lost back-to-back Premier League matches at Old Trafford for the first time in 22 years, there is now much pressure for the squad to be improved in January. "The club have the money and they will spend, there's no question about that," Moyes said in widely reported comments over the weekend. "We were very close to a major, major signing back in the summer. "It's easy now saying it and we didn't do it but we were really close to a major signing and the club would have definitely shown what they're worth." "It wasn't for money, that's for sure. The players had chosen other clubs or made their decisions elsewhere. However, Moyes, who also hinted that there would be players leaving Old Trafford, did again try to temper expectations by stating that he wouldn’t panic into bringing players in for the sake of it. "The bigger picture is I want players going forward, not just for the next six months,” he added. “I'm looking to see if I can get someone who will be with us for the next six or seven years." 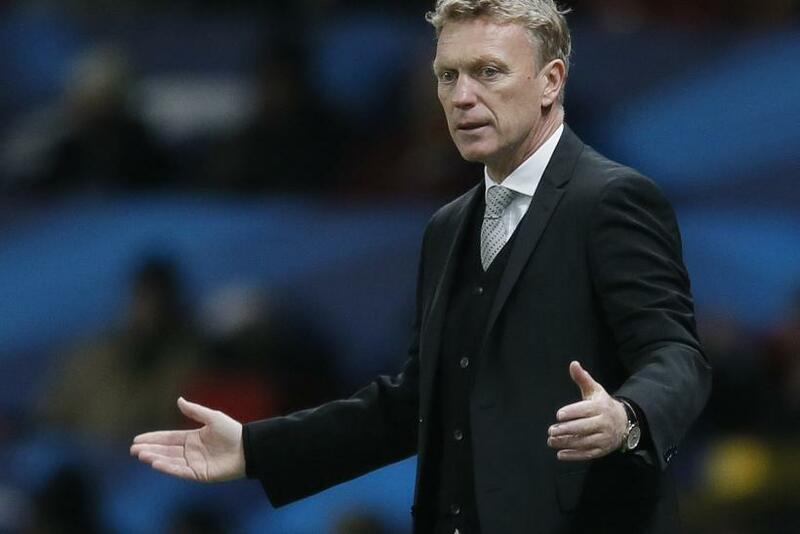 As in the summer, Moyes’ main area of focus for his recruitment in January is sure to be in central midfield. One of the main names linked to the club in recent weeks has been Atletico Madrid’s Spain international Koke, with Moyes even seen in the stands at Atletico’s recent Champions League match with FC Porto. Yet, citing stories in Spain, the Daily Mirror reports that Koke has no interest in making the move next month. Such claims hardly come as a surprise. The 21-year-old is currently enjoying a fine season in helping Atletico to be level on points with Barcelona at the top of La Liga and having reached the last 16 of the Champions League. He would also surely be concerned that making such a move in midseason might hamper his chances of making Spain’s World Cup squad. Another midfielder widely linked of late is Internazionale’s Fredy Guarin. According to the Sunday People, the dynamic Colombia international could be available for £15 million. However, the report also states that Chelsea have now moved into prime position to seal a deal for the 27-year-old, with Inter officials said to have been at Stamford Bridge. There continue to be stories that Moyes will again go back to his former club for his next signings. Leighton Baines was the subject of several bids during the summer and the Manchester Evening News believes that Everton are trying to fight off interest from the champions in the left-back as well as midfield starlet Ross Barkley. Barkley is regarded as one of the best young prospects in England and has become a regular this season under Moyes’ successor Roberto Martinez. And the Spaniard has confirmed that discussions over a new contract for the 20-year-old are in the offing. "You can imagine we are working always behind the scenes to try to reward youngsters who do well at the club and Ross is clearly that, but there is nothing to announce,” he said. "Even when you don't speak about issues we work really hard behind the scenes to try to make sure that the youngsters get rewarded and Ross clearly deserves that." Baines, who is currently out with injury, is also set to be offered a new deal to ward off fresh interest that is expected to come from Old Trafford next month. "All these issues are vital for us and we are going to look after them straight after this Christmas period,” he added.